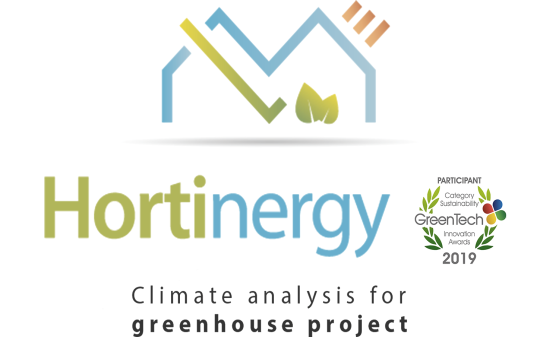 The purpose of the present licence is to set out the terms and conditions governing the client’s use of the HORTINERGY software solution (software solution for the simulation of greenhouse energy consumption and the comparative scenarios of equipment that operates in SaaS mode from the website www.hortinergy.com) developed and marketed by AGRITHERMIC (a simplified joint stock company (SAS) registered in the Business and Trade Registry of CHAMBERY (France) under no. 751614967, whose registered office is located at SAVOIE TECHNOLAC BP 269 73370 LE BOURGET DU LAC, represented by its acting legal representative, duly authorised to act herein, domiciled for these purposes at the aforementioned registered office). By subscribing to HORTINERGY online, via the website www.hortinergy.com, the client unreservedly accepts the present user licence, whose clauses have been freely negotiated by and between the parties. The present licence is concluded for the period relating to the formula of use (in the act or according to an annual subscription) selected by the client during the online subscription to HORTINERGY. HORTINERGY shall operate at all times, 24/7 (twenty-four hours a day, seven days a week) on every day of the year according to the service level agreement featured below. However, in this regard, it is specified and expressly agreed between the parties that AGRITHERMIC executes a best efforts obligation with regard to the aforementioned service level agreement. In view of the current state of the art in the field of IT and the corresponding rapid developments, and on the basis of the complexity of telecommunications networks, AGRITHERMIC is not actually able to guarantee that HORTINERGY shall operate on a continuous basis or shall not be affected by any fault. These functioning anomalies are beyond the control of AGRITHERMIC and the technical resources implemented by it. The client states that it is perfectly aware of and accepts that fact. The client shall benefit from any developments that may made to HORTINERGY during the term of the agreement. However, in no way may that be construed as or considered to be an obligation for AGRITHERMIC to develop HORTINERGY. AGRITHERMIC shall back up any data, information and elements imported into HORTINERGY by the client. The client may access them for a period of 6 (six) months as of the simulation. At the end of the period, the client’s data may be destroyed without notice. The client states that it is fully aware of that fact and shall take personal responsibility for any permanent back-up measure beyond that period. By and large, AGRITHERMIC may not, in any capacity or on any basis whatsoever, be held responsible for any issues concerning the execution of the present licence which are fully or partially related to: (1) force majeure; in addition to any events usually considered by the case law of French courts relating to the provisions of Article 1218 of the French Civil Code, cases of force majeure include, but are not limited to, the following: total or partial strikes, external to AGRITHERMIC, inclement weather, epidemics, blockades of means of transport for any reason, popular uprisings, attacks, wars, earthquakes, fires, storms, governmental or legal restrictions, failures or losses of connectivity attributable to public or private operators, particularly from the field of telecommunications, on which it depends and all other cases beyond its control which prevent the normal execution of the present license ; (2) the actions of a third party over whom AGRITHERMIC has no authority and/or supervision, such as the end user of the internet network; (3) or even the client or any persons directly or indirectly related to the same, not least due to the loss and/or unauthorised disclosure of identifiers which provide access to HORTINERGY, or even on account of incorrectly entering the information parameters required by the HORTINERGY solution. Moreover, pursuant to the provisions of Article 1231-3 of the French Civil Code, the parties expressly agree that if AGRITHERMIC is held responsible for any failure to execute the licence, the total amount of any compensation claimed by the client may not exceed an amount equal to the pre-tax amount owed by the client under the present licence for the contractual year during which the event leading to the invocation of liability occurs; this amount is deemed to be a compensation limit and not flat-rate compensation. The compensation excludes any loss of turnover, non-immediate and/or indirect and/or eventual loss suffered by the client, not least on account of the loss and/or unauthorised disclosure of the identifiers which provide access to HORTINERGY or the consequences of claims or complaints made by any third party against the client. In the same way, HORTINERGY may not be held responsible, either jointly and severally or in solidum, with the third parties that contributed to the damage. AGRITHERMIC guarantees the client that it holds all rights and authorisations by which it is allowed to conclude agreements under the present licence. In particular, AGRITHERMIC guarantees that it holds all the rights relating to HORTINERGY. AGRITHERMIC guarantees the client against any claims, recourse, settlements, actions and procedures, legal or otherwise, which may be made against the client, by any party, on any basis whatsoever, not least on the basis of intellectual or industrial property, directly related to one or all the elements of the present licence. AGRITHERMIC undertakes to comply with EU Regulation no. 2016/679 “on the protection of natural persons with regard to the processing of personal data and on the free movement of such data” of 27 April 2016, and in particular Articles 28 section 3 and 4 and 32 of this Regulation. The client states that it has verified that HORTINERGY is perfectly suited to its needs and expectations, and to the equipment, especially software, that it uses, and that it has received from AGRITHERMIC, prior to the execution of the present agreement, all useful advice and information concerning this software solution, including, but not limited to, the following: in terms of functionalities, operation, use, any options ordered by it with AGRITHERMIC, equipment compatibility, software, system or data, performance, security and confidentiality of client data (especially personal data). The client therefore states that it is fully aware of the offer to which it subscribes. AGRITHERMIC is acting herein exclusively in the capacity of a software solution publisher. By and large, the client is solely responsible for its use of HORTINERGY. The client shall make sure and, if necessary, take the necessary steps to ensure that this use complies with any applicable French and/or foreign legislation, not least any relating (a) to the processing of personal data, particularly any governed by EU Regulation no. 2016/679 “on the protection of natural persons with regard to the processing of personal data and on the free movement of such data” of 27 April 2016; (2) to intellectual property, (3) or even to all its activities. As far as AGRITHERMIC is concerned, it shall in no way be required to verify said use, notwithstanding its capacity as a professional. However, AGRITHERMIC may immediately suspend, without notice, the operation of HORTINERGY in the event that it becomes aware of any blatantly unlawful use of the HORTINERGY solution by the client. In this case, it shall promptly inform the client. In particular, the suspension may be enforced by a public, administrative or judicial authority, or following any action at law. The client is also solely responsible for any information, elements, documents or data which may, in the context of the use of HORTINERGY by the client, be used, created, collected, imported, exported, supplied, distributed, published, shared or processed, by the client and/or, with regard to any processing operations carried out on behalf of the latter, by AGRITHERMIC. In general, the client shall guarantee AGRITHERMIC against all claims, recourse, settlements, actions and procedures, legal or otherwise, which may be made against AGRITHERMIC, by any party, on any basis whatsoever, directly or indirectly related to: (1) information, elements, documents or data imported, used, created, collected, imported, exported, supplied, distributed, published, shared or processed, by the client in the context of the use of the HORTINERGY solution, (2) the use of HORTINERGY by the client, (3) the use by the client of the identifiers used to access HORTINERGY. The client shall take personal responsibility in this regard. If necessary, the client: (1) shall provide AGRITHERMIC with any information that AGRITHERMIC deems useful for its defence, without delay and in response to the first request issued by AGRITHERMIC, (2) shall immediately substitute AGRITHERMIC, (3) and, if applicable, shall immediately and fully assume the consequences of any sanction imposed on AGRITHERMIC. The client shall also bear the expense of all fees and charges related to the defence of AGRITHERMIC, without delay and in response to the first request issued by AGRITHERMIC. The client undertakes not to: (1) grant sub-licenses in relation to HORTINERGY; (2) disclose HORTINERGY, for any reason whatsoever, by any means whatsoever, and in any form whatsoever, to third parties; (3) make or arrange for the copy, modification, translation, transcription, adaptation, arrangement or decompilation of HORTINERGY, in whole or in part, for any reason whatsoever; (4) create any works derived from HORTINERGY; (5) use HORTINERGY to create a competing product, or a product that embodies or replicates the ideas, features, functions or graphics of HORTINERGY; (6) disclose to third parties any identifiers used to access HORTINERGY. The client undertakes to work with AGRITHERMIC in good faith. In particular, the client undertakes to immediately inform AGRITHERMIC of any unauthorised use of HORTINERGY, including any use in this capacity by a member of its staff or by any other person. If applicable, the client shall make every effort to immediately bring these unauthorised uses to an end. In this regard, AGRITHERMIC reserves the right to record any use by the client of HORTINERGY. When the identifiers used to access HORTINERGY have been sent to the client, the latter shall be solely responsible for its own personal use thereof and if necessary, for any use by any other directly or indirectly related person. The client shall particularly take steps to maintain their personal and confidential nature by implementing all relevant technical measures at an administrative or legal level. The client guarantees that any directly or indirectly related person shall fulfil this obligation. The present licence does not give rise to any transfer of property rights, particularly those of an intellectual nature, in relation to HORTINERGY. AGRITHERMIC shall retain full material and intellectual ownership thereof. The client’s use of HORTINERGY may not be considered in this regard to constitute any rights, except for the concession of the exclusive right to use HORTINERGY subject to the terms of the present licence. In the same way, and reciprocally, the present licence does not give rise to any transfer of ownership in relation to any elements imported by the client into HORTINERGY. Moreover, any elements, particularly documents, generated by the use of HORTINERGY automatically become the property of the client. AGRITHERMIC may only exploit these elements as part of the present licence, to the exclusion of any other exploitation. The price shall be invoiced and shall be paid by the client to AGRITHERMIC at the time of the order, according to the amount indicated at the time of the online order, either by online bank card payment, for any settlement equal to or less than € 3,840 (inclu. all taxes and charges), or by bank transfer for any settlement greater than € 3,840 (incl. all taxes and charges). In accordance with the provisions of the French Commercial Code, any sum that has not been paid on its established due date shall automatically accrue a late-payment interest amounting to three times the valid legal rate of interest. Moreover, also in accordance with the provisions of the same Code, the client shall be liable, by operation of law, to pay a fixed sum for recovery fees totalling € 40. When the recovery fees incurred exceed the amount of this flat-rate fee, AGRITHERMIC may request additional compensation, upon the presentation of supporting documents. Moreover, if the situation is not resolved within a period of ten (10) days of a formal notice addressed to the client by registered letter with acknowledgement of receipt expressly indicating the present termination clause, any delay in the payment of the sums owed to AGRITHERMIC under the present licence, may give rise, by operation of law, at the instigation of AGRITHERMIC, and without any recourse to the courts: (a) to the immediate interruption of access and operation of AGRITHERMIC until such time the sums due are paid in full, in accordance with the provisions of article 1219 of the French Civil Code; however, this interruption does not suspend the annual licence which shall continue to be due and invoiced during the interruption period; (b) or even, at the discretion of AGRITHERMIC, to the termination of the present licence from either the end of the exceptional non-execution period indicated in point (a) above, or failing that, from the date on which the aforementioned notice is dispatched. In the event of termination, any remuneration established in this clause, previously settled by the client, shall be retained in full by AGRITHERMIC, irrespective of the time at which the termination takes place, without the possibility of any repayment. The termination shall also take place without prejudice to any legal proceedings that AGRITHERMIC may institute at the same time or subsequently in order to claim damages. However, AGRITHERMIC may waive the option of this termination by operation of law to bring legal proceedings for the compulsory enforcement of the agreement or any other purpose. Any failure by AGRITHERMIC to invoke a breach of the client with regard to its payment obligation may not be construed as a waiver of the payment. Each party shall treat all information in confidence, both during and after the present licence; this information particularly relates to any pricing details, client data and documents provided by the other party in the context of the present licence. The client particularly undertakes not to disclose any provisions of the present licence to third parties without the prior and written consent of AGRITHERMIC. However, AGRITHERMIC may, with a view to promoting its activity, make reference to the client, not least by using its corporate name, its trade name and its logo on its own communication tools, unless the client objects to any such action by written notification expressly addressed to AGRITHERMIC. The provisions of the present licence constitute the entirety of the agreement between the parties. All the corresponding provisions of the order placed online by the client and the service level agreement featured below constitute an integral part of the licence, are indivisible from it and are subject to it. If this instrument is translated, the French version shall prevail. Any modifications relating to the present licence shall be formalised in an amending agreement which is concluded in writing by and between the parties and which is also dated and signed. If necessary, any additional purchase orders signed by the client, during the term of the contract, shall amount to amending agreements to the present licence. The present agreement continues to be valid in the event of a change to the corporate form or the distribution of the share capital of AGRITHERMIC or any change in its management; the same applies in the event that the present licence is assigned by AGRITHERMIC to a third party. The present licence may not, on the other hand, be fully or partially assigned, with or without consideration, by the client without the prior and written consent of AGRITHERMIC. AGRITHERMIC may freely subcontract, to any person of its choosing, all or part of the services to which the present licence relates. AGRITHERMIC remains solely responsible for the performance of the contract by its subcontractors. Subject to the provisions of Article 1218 of the French Civil Code relating to force majeure, any failure by either party to fulfil their respective obligations under the present licence may not result, by operation of law, in the termination of the present licence without any recourse to the courts. Except as regards the payment obligation specified in Clause 6 above and the obligation relating to the security test featured in clause 4 of the Service Level Agreement, as indicated below, which are subject to special and derogation provisions, the termination shall take place if the situation in question is not resolved within a period of fifteen (15) days of the formal notice sent by registered letter with acknowledgement of receipt expressly indicating the present termination clause. In this regard, it is expressly agreed that, in these cases, the remuneration established in clause 6 of the present licence, previously settled by the client, shall be retained in full by AGRITHERMIC, irrespective of the time of and accountability for the termination, without the possibility of any repayment. However, each party may waive the option of this termination by operation of law to bring legal proceedings for the compulsory enforcement of the agreement or any other purpose. The present licence is governed and shall be interpreted, according to the wishes expressed by the parties, exclusively in accordance with French law, to the exclusion of any other legislation or regulations and irrespective of the nationality of the client and/or the place in which the agreement is concluded and/or executed. Any disputes relating to the present licence, no matter the nature thereof, shall be exclusively submitted, according to the wishes expressed by the parties, to the jurisdiction of the French courts of the place in which the head office of AGRITHERMIC is located, irrespective of the nationality of the client and/or the place in which the agreement is concluded and/or executed. The established performance for response times (traceroute/ICMP) is, on average, 250 ms per periods of 30 (thirty) days, excluding the maintenance or upgrade periods as specified below. Service availability is measured in output minutes by periods of 30 (thirty) days. It is at least equal to 99.5% outside of the maintenance or upgrade periods specified below. IMPORTANT: The client is fully informed of and aware that HORTINERGY is a first simulation solution, the reliability of whose results is not guaranteed by AGRITHERMIC. At any rate, it may not be sufficient to validate a project without other more accurate calculations. The client may choose to contact AGRITHERMIC in this regard. If necessary, this specific study assignment, unrelated to the present Licence, shall be formalised in a separate agreement between the Parties, especially as regards the corresponding purpose and price. However, the client is informed, although this is merely for reference and is of a non-contractual nature, that the results of HORTINERGY have been validated by comparing them to the data noted in-situ at the CTIFL experimentation sites (Carquefou and Balandran), as well as at Wageningen University Research. These validations have produced results which present a discrepancy ranging between 2% and 10% in relation to the data measured in-situ. These values are provided merely as an example and are not contractual. Moreover, AGRITHERMIC may not be held responsible in any way whatsoever for any errors and discrepancies owing to the improper use of HORTINERGY by the client or the incorrect entry of parameters by the client. The service performances are measured on the basis of a general monitoring solution. Measurements are taken several dozen times an hour, 24/7, and 365 days a year. Each measurement which detects an incident is reported to AGRITHERMIC. AGRITHERMIC may momentarily interrupt access to HORTINERGY and its operation to perform maintenance or upgrade operations: 1) on a quarterly basis, when the access rate of internet users is generally at its lowest point, subject to a notice period of 15 (fifteen) working days, although the interruptions may not exceed 4 (four) hours; 2) at any time, in an emergency, with the client being informed at the earliest possible time. A support team shall be responsible for technical relations with the client as soon as the licence agreement is executed. It may be contacted at any time on the following telephone number: +33 4 79 72 40 59 (from Monday to Friday from 9 a.m. to 6 p.m., excluding national holidays). AGRITHERMIC undertakes to apply the best practices at an IT, physical and organisational level, to prevent any unauthorised access and any loss or alteration of client data. AGRITHERMIC also undertakes to correct any detected security faults at the earliest possible time. AGRITHERMIC does not authorise any penetration, security or load tests on the HORTINERGY solution. AGRITHERMIC may authorise these tests on a case by case basis. The client shall submit the corresponding request to the support team of HORTINERGY. Any unauthorised tests carried out by the client may, without notice, result in: (1) the immediate interruption to access and operation of HORTINERGY, until such time as the solution has been verified in full, in accordance with the provisions of Article 1219 of the French Civil Code; however, this interruption does not suspend the annual licence which shall continue to be due and invoiced during the interruption period; (2) or even, at the discretion of AGRITHERMIC, the immediate termination, without notice and exclusively on account of the non-execution, and by operation of law, of the licence without recourse to any courts, subject to the provisions of Article 1225 of the French Civil Code; and (3) the application, including in the event of interruption or termination, of a penalty, charged to the client, for an amount of € 5000.00 (five thousand) per unauthorised test. The present penalty clause does not preclude AGRITHERMIC from bringing legal action against the client to claim compensation for all the loss caused by the unauthorised test or tests, provided that this loss exceeds the amount of the penalty clause. Moreover, in this regard, it is expressly agreed that, in the event of termination, the remuneration established in clause 6 of the present licence, previously settled by the client, shall be retained in full by AGRITHERMIC, irrespective of the time of termination, without the possibility of any repayment. AGRITHERMIC is free to modify at any time the characteristics of its internal and external technical infrastructure, not least as regards hosting, to guarantee the agreed service levels. In this regard, it is specified, for information purposes, that HORTINERGY, and the entirety of the data (especially those of a personal nature) collected, created, used, imported, exported, supplied, distributed, published, shared or even processed in the context of the use of HORTINERGY are, on the day on which the present licence is executed, hosted by the French company OVH (https://www.ovh.fr) on “Cloud” server architecture, based in France. The times used as part of the present licence are established as standard CET/CEST (UTC+1 standard winter time, UTC+2 standard summer time), unless otherwise specified.